Yes, he is now 82. Women see him as the heart throb Medical Examiner “Ducky” — Doctor Donald Mallard — in the United States most popular TV series NCIS. Even the United States Marine Corps and the US Navy have especially welcomed him as one of their own, in this changed world that we all live in. 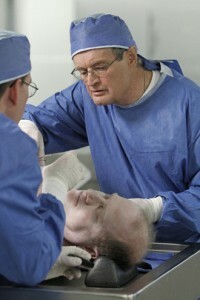 David Keith McCallum in NCIS. Both he and NCIS Special Agent Jethro Gibbs and their team portray the drama and anguish of anti-terrorism activities across the world. But it is David Keith McCallum, Jr. (born 19 September 1933), a Scottish actor, who first gained recognition in the 1960s for playing Russian spy Illya Kuryakin in the television series The Man from U.N.C.L.E. Doctors and Medical students alike try to emulate his standards of truth, honesty, and courage as they grapple with the demands of forensic medicine. Back to back episodes are screened every day on Universal and Fox. You never get tired of watching it. There is even a boxed set of the NCIS series. Every day, on American and British TV screens the exploits of the NCIS team are watched by millions. They are the heroes, protecting reputations of those who die, finding out the truth of just what really happened. Jethro Gibbs — in his role as Special Gent NCIS — upholds the values and the honor of the role. Since 2003 McCallum has starred in the role. Donald P. Bellisario says that McCallum’s knowledge became so vast that at the time of the interview he was considering making him a technical adviser on the show. It is true to life. McCallum appeared at the 21st Annual James Earl Ash Lecture, held May 19, 2005 at the Armed Forces Institute of Pathology, an evening for honoring America’s service members. His lecture, “Reel to Real Forensics”, with Cmdr. Craig T. Mallak, U.S. Armed Forces medical examiner, featured a presentation comparing the real-life work of the Armed Forces Medical Examiner staff with that of the fictional naval investigators appearing on NCIS. Congratulations on an amazing acting career. More power to all the team involved.